When fraud and wrongdoing occur in the workplace, it could result in the loss of resources, to clients, to even your job. But when fraud and wrongdoing occur in the food industry, it could result in the loss of countless lives. In 2008, a food safety scandal rocked the Chinese food industry when it was discovered that dairy products tainted with the industrial chemical melamine had caused the deaths of six infants and made thousands others sick. Since then, Chinese suppliers and consumers have been increasingly vigilant regarding the quality and safety of food products. But with as huge of a market as China, it’s difficult to ensure that every step of the supply chain is above-board. In fact, earlier this year, Walmart Stores Inc. came under fire when it was discovered that a donkey meat product they sold actually contained fox meat as well. This wasn’t the first time China’s Walmart stores faced a food scandal – in 2011, expired duck meat was found on their shelves. Now, China faces its latest food scandal after a local Chinese TV broadcast blew the whistle on a meat supplier, Shanghai Husi Food Co Ltd. In their news report, they showed Shanghai Husi workers picking up meat from the factory floor, and mixing fresh meat together with expired meat. They even had footage of the workers admitting that if their clients knew what they were up to, Shanghai Husi would lose its contracts. Now that their food safety violations have come to light, that is exactly what’s happened. Two of the suppliers’ biggest clients, McDonald’s Corp and Yum Brands Inc. (parent company of KFC) have apologized to their customers following the news report and promised to stop using Shanghai Husi as a supplier. So far, there have been no reports of any illnesses or casualties following these violations, but the emotional damage has already been done. 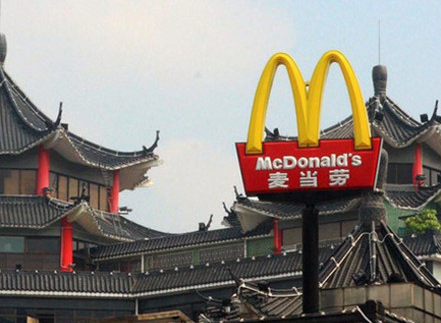 In interviews with Shanghai diners following the scandal, some noted that they would be avoiding McDonald’s and KFC from now. Others had a more defeatist attitude, pointing out that no matter where you go, you were likely to run into similar food safety violations. Such desensitization goes to show just how commonplace food fraud scandals are these days, which is why we need whistleblowers in the food industry more than ever. All it takes is one brave whistleblower to come forward, and countless lives could be saved. Having an ethics reporting system where employees can anonymously report on any unethical incident involving our food production, can help eliminate any frauds that might occur.